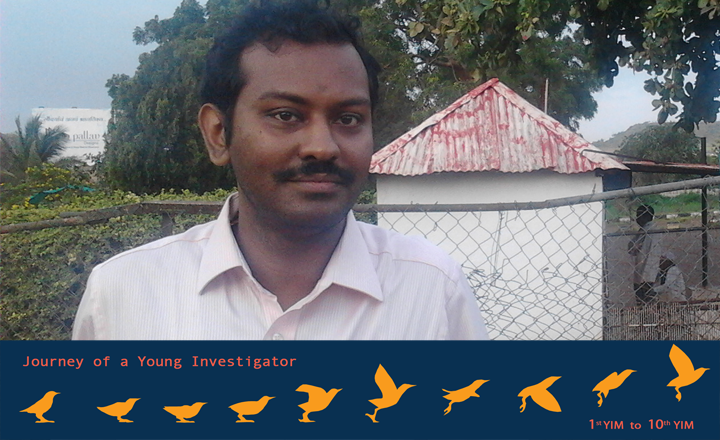 Aravindhan Vivekanandhan is an assistant professor at Department of Genetics, University of Madras. He attended YIM 2015 as a YI. In this guest post, he talks about his path to finding the right research question. The transition from post-doc to PI is beset with a variety of challenges. The most crucial of all these challenges is identifying a niche area of research in which one will continue to work for the rest of their career. Given an option, most would like to continue in the same field as their PhD or postdoc tenure. However, with biology becoming more inter-disciplinary one frequently needs to change the hat to fit the shoe, and in the process face the risk of losing his/her identity or focus. I faced the same problem when I first started my career at a diabetes research institute. Having been trained in immunology, and worked on infectious diseases all along, it was quite difficult for me to identify a niche to match my training. I started with expanding my boundaries and quickly transformed myself into a clinical immunologist and began working on serum inflammatory markers in diabetes. Even though inflammatory markers are easy to work with and might offer some quick publications, I realised that the field might not be a suitable for long term research endeavours. This prompted another change in my trajectory and I shifted my gaze towards diabetes-tuberculosis. This proved to be a wise choice as I had worked extensively on TB all through my PhD tenure. It provided the perfect opportunity to combine the knowledge from my previous research with my current research on diabetes. I immediately wrote three grants and submitted them to funding agencies. And thus began the excruciating wait for grant acceptance. Typically, in India, at least about a decade ago, the waiting period was quite long and would range anywhere between 6 months to 2 years. It was during this period that I started a collaboration with ICER, National Institute for Research in Tuberculosis, Chennai. While having a casual discussion with one of my friends there, an immunologist working on filariasis (elephantiasis), we decided to do a simple screening for this disease in diabetic subjects. The idea was to generate some data to write a simple paper to get things going. Contradictory to our expectations, when we analysed the data, we found that the prevalence of filariasis was much lower among diabetic subjects compared to non-diabetic controls. This took me to another interesting area of research,–“The Extended Hygiene Hypothesis”. To cut the story short, what started as a simple epidemiological study, turned out to be a fertile virgin area to do research and yielded three good publications within a span of 2 years. The work gained immediate public attention and was highlighted in The Economic Times of India. To add to my surprise, I also received a fully funded invitation to deliver a talk at the 9th International Science and Maths Symposium at California State University, Fullerton, USA (Mar 20th, 2013). By this time, I was awarded my first young investigator grant (DST-FASTTRACK) and a regular grant (DAE-BRNS) both on diabetes-tuberculosis. With two grants in hand and few research fellows working under my guidance, my research life became little easy. Even though the grant money was small, it gave me tremendous confidence and helped me establish my first lab in 2011. With time, more PhD students joined my lab and we started publishing papers regularly. It was only then that I felt my transition from a PDF to PI was complete. The transition was indeed difficult but at the same time it was interesting and full of learning opportunities. Not only has the experience helped me to become a better researcher but a better individual too.